Uncover hidden opportunities to make a global impact. Zola Electric is a growth-stage startup that’s on track to light a million homes in Africa over the next couple of years with clean, affordable solar energy. At the heart of our business is innovative solutions that delight our customers. We are looking for a seasoned Territory Service Manager to support our growth strategy in Africa. This may be your dream job if you’re someone who dreams of combining your knowledge and skills enabling Zola Electric to change the renewable energy landscape. You’ll also need to be passionate about bringing solar energy to off-grid and other underserved markets (billions of people around the world) with the unique social, technical, and business challenges that come along with it. You are inspired by the opportunity to unleash whole continents of human potential, and motivated to help build a truly epic business. Zola Electric, through its consumer brand Zola, combines Silicon Valley technology with local expertise to offer African homes and businesses a long-term solar solution to an unreliable grid. Adaptable to both energy needs and income, Zola Electric’s solution can be bought over time through a leasing structure. The first few watts starts a chain reaction that enables people to achieve commonly held aspirations: security, education, access to information, and a longer and more efficient day. Today, Zola Electric powers more than 100,000 homes and businesses across Tanzania, Rwanda and Côte d’Ivoire. 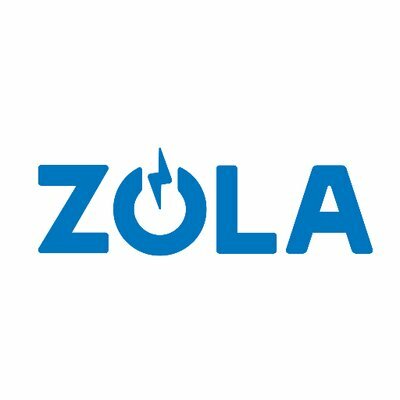 Zola Electric’s investors include SolarCity, Vulcan Capital, DBL Partners, The Packard Foundation, Helios Investment Partners, and responsibility. Zola Electric is the recipient of the 2016 UN Momentum for Change Award, Zayed Future Energy Prize, and the 2015 Global Cleantech 100. PositionWorking with country Head of Service, the Service Territory Manager is a senior management position responsible for leading a team of managers, staff, and contractors to provide service and ensure excellent customer satisfaction in their territory. The Territory Service Manager will use his/her own experience and creativity to develop and execute strategies to delight customers and achieve company service targets. Service Territory Management: Strategy, formulate, translate and implement Zola service strategy and business objectives into field operations within your service territory. Retail & Field Service: Ensure effective and efficient operations across your service territory through consistent compliance with processes and policies. Staff Management: Supervise Service Field Managers planning, create and implement weekly, monthly and quarterly plans to drive service results and meet set targets. Performance Management: Track and analyze KPIs to identify critical patterns and recommend appropriate actions to Field Service Managers. Staff Oversight: Facilitate individual / group check-ins to drive efficiency and accountability down the organization. Performance reviews: Assess performance for Field Service Managers and complete Field Service Manager scorecards monthly. Leadership: Demonstrate excellent leadership to your team through leading by example. Staff development: Create a platform for your team to shine by enhancing their knowledge and skills through training, support, mentorship and coaching. Financial Management: Ensure that all finances for your service territory meet Zola’s budget objectives and comply with finance SOPs & Policies, this includes but not limited to: all field & retail shops Opex, agent commissions, Staff overtimes etc. Create value.. Inventory Management: Oversee weekly inventory reconciliation for all staff and contractors in your territory. Reinforce control over damages and losses as the final decision maker for inventory accounts within your territory. Participate in designing, improving, and implementing strategies to improve last mile inventory efficiency. Building a Vibrant Zola Community: Participate and engage actively in the last mile service delivery activities not limited to customer homes visit and community events within your territory. Cultivate and embed Zola culture within your team through active and passive participation in individual / group meetings and social events. Education: Bachelor Degree in any discipline a/o relevant qualification is preferred. Master’s degree and beyond is an additional advantage. Professional qualifications in Customer Service is an additional advantage. Technical Skills: Strong analytical skills, ability to analyze both numeric and verbal data correctly to identify critical connections and patterns to recommend appropriate actions and make tactical decisions. Achievement focus, effectiveness, ability to drive actions and results promptly without quality compromises. Efficiency, commitment to delivering more results for every coin spent. Planning: Ability to translate complex goals into concrete plans and processes. Language Skills: Fluent in both English and Swahili. (both written and spoken). The opportunity to directly improve millions of lives by bringing sustainable electricity to a part of the world where the majority of the people have no access to the grid. Working with some of the smartest, most committed, and hardworking co-workers in a distributed environment. This role offers an excellent opportunity to self-challenge, drive results with excellence and innovate within the confines of a fast-growing start-up organization. Are you interested in this position and join our team in Lagos, Nigeria, let’s connect and send your resume via our career page. Applications that include a resume/curriculum vitae have the preference.